This place is so GREEN! You cannot miss it. NOT ! …. See the bones ?!! Actually if not for the bones, the Fish head noodles was decent. The soup was thick and sweet. The chili/belacan sauce was spicy and pungent… However, there was not enough “ham-choy” in the soup to give it that extra kick. 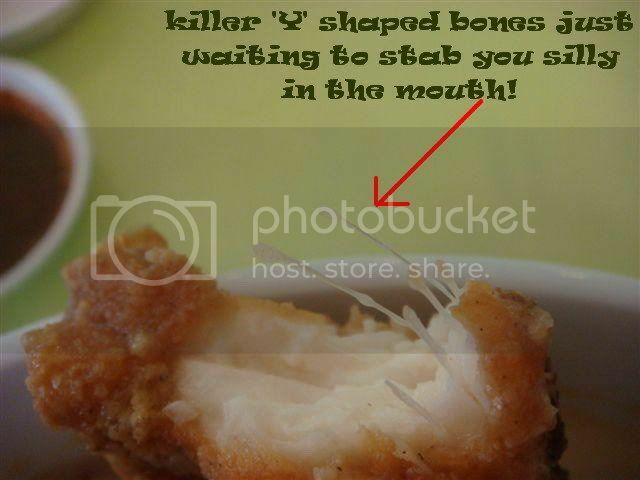 That’s the challenge in a bowl of fish head noodles – watch the bones!